i.MX 6 Evaluation Kit for the i-PAN7 Touch Panel Computer with 7.0" touch display, capacitive or resistive. The relevant interfaces of the i.MX 6 processor are available and a complete development can be realized. i.MX 6 Evaluation Kit for the i-PAN X7 Touch Panel Computer with 7.0" touch display, projected capacitive. Interfaces: USB2.0 Host, USB2.0 OTG, USB2.0 Header, RJ45 10/100 Mbit Ethernet, RS232 D-Sub 9, 3.5mm stereo audio headphone jack. i.MX6 SODIMM development board of 100mmx72mm Pico ITX form-factor incorporates i.MX6 SODIMM SOM Which is based on NXP’s high performance i.MX6 Solo ARM Cortex A9 processor and the carrier board with optional 4.3” resistive display kit. Set of applications for the Linux L3.0.35_3.0.0 BSP, designed to be used by graphics application developers to rapidly develop and port graphics applications. Includes applications, GPU Driver with vprofiler enabled and documentation. The Nitrogen6_Lite is a slimmed down version of our popular Nitrogen6X board. 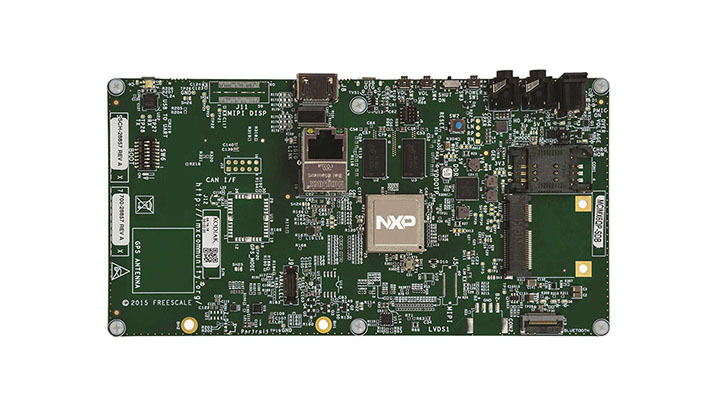 Featuring the powerful i.MX6 Solo processor from NXP, the Nitrogen6_Lite is an extremely versatile single board computer with a wide variety of connectivity options. SYS-A62-GW is a gateway solution based on the NXP i.MX6 Single Core Processor that makes it easier to collect smart data from the real world through the cloud for a broad variety of IoT applications. TX6 Solo include the i.MX 6 Solo Cortex A9 processor at 800 MHz 256-512MB RAM, NAND or eMMC flash and PMIC. Industrial temperature is standard on most modules. All Ka-Ro TX modules are pin-compatible and have a guaranteed 10-year availability. i.MX 6 Series Solo core CPU based Qseven compatible SOM with on-board 1GB DDR3 RAM (expandable), eMMC flash and micro SD slot. It supports interfaces such as, PCIe Gen2, Gigabit Ethernet, SATA 3.0, HDMI 1.4, Dual CAN etc. Compliant Module with the NXP i.MX6 Processor features all the processor and integrated native I/O capabilities of the SoC, in compliance with the Qseven standard. Supplied with a complete and fully-featured BSP. SODIMM sized module with peak frequency up to 1GHz and RAM size of 256MB. Key benefits include long-term availability (until 2028), industrial temperature support, and a host of industrial interfaces. 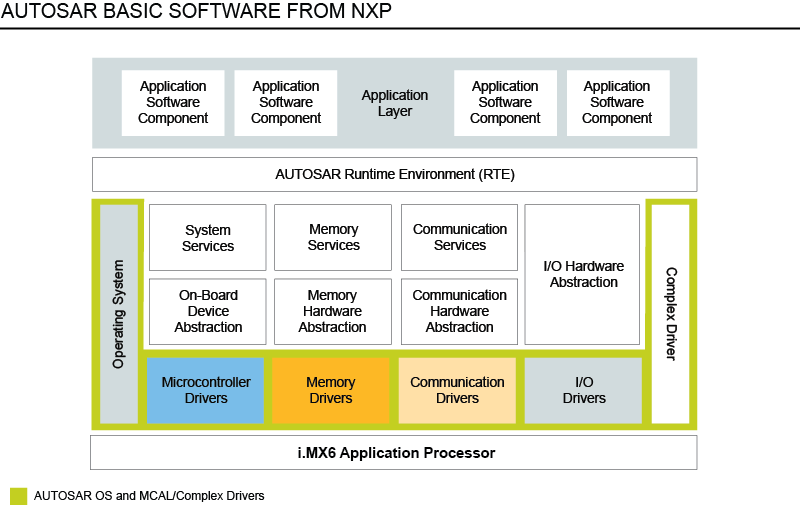 EDIMM SOM based on NXP™ i.MX 6Solo or i.MX 6DualLite processor. iWave's new i.MX6 Solo core CPU based SODIMM module integrates all standard interfaces into a single board with ultra compact yet highly integrated platform that can be utilized across multiple embedded PC, system and industrial designs. Pin2pin to the VAR-SOM-MX6, the VAR-SOM-SOLO/DUAL from Variscite carries much smaller dimensions and a slim lined price-point. Features include NXP i.MX6 single/dual 1GHz Cortex-A9, SLC NAND, eMMC, dual band Wi-Fi/BT, USB, GbE and more. Build-in Glass Touch Panel Computer based the Trizeps VII CPU module with i.MX 6Solo or DualLite, SODIMM200 standard, , protection class IP 65. The unit is suitable for multimedia, multitouch, multidisplay applications and demanding control tasks.